A sanitizer is a chemical or process designed to destroy or render ineffective harmful microorganisms from reaching levels too high to be considered safe for swimmers in pool water. What is a Sanitizer in swimming pools? A sanitizer, also called a disinfectant, is a chemical, process, or series of processes that is intended to kill living microorganisms on a non-living surface or in a solution, plus clean the surface or solution of any undesired materials. Most sanitizers are, by their nature, toxic and harmful to humans if exposed to large enough quantities. The goal of applying sanitzers is to use enough to achieve the sanitation and disinfection effect, but not so much that a harmful environment is created. Ideally, all microbes would be killed or inactivated such as bacteria, viruses, and fungi, although typical sanitizers are not able to kill everything, but reduce the microbial count down to a level so as to render the surface or solution safe enough to use. For swimming pools, there are a variety of chemical and system-based options for pool water sanitation strategies. Some chemical sanitizers also function as oxidizers, which break down organic and inorganic molecules of many kinds, being living or non-living. 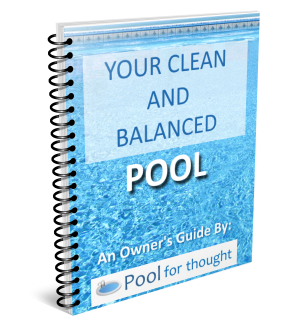 Chlorine and bromine are both oxidizers, but both also perform double-duty as a sanitizer, making them both popular choices for pool water sanitation. Some sanitizers target a particular set of microorganisms, such as various algaecides that target green, mustard, and black algae typically found in swimming pools. 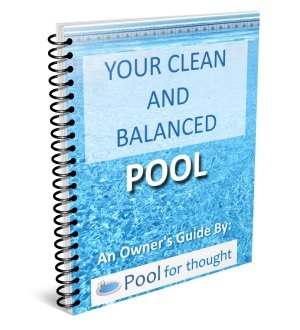 There are several system-based options that can help sanitize a swimming pool. These may be based on the reaction of several minerals, gasses, or light with the pool water, all with the goal of breaking down organic molecules, including microbes.